ICT companies from around the world gathered in four large halls at HIMSS 2016 in Las Vegas where NiQ Health and ClinicAll presented their unified communications solution for the Healthcare Industry. All solutions in our alliance are tried, tested and installed in small and large hospital environments globally, they work! 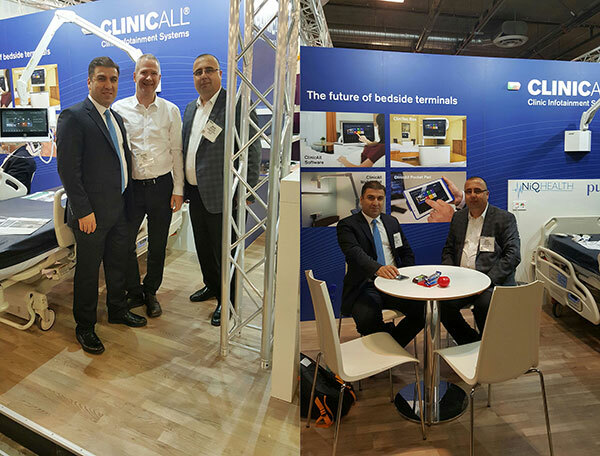 In the photo Christian Testorf welcomes Neenus Alchamani and Danial Chamani from Integrated Solutions in the Middle East to our stand.